Educating children to lead healthy, active lives and enjoy a balanced diet is an important part of pupils’ learning experience. It begins with providing every child with a high quality, nutritious lunch and healthy snacks at school, freshly prepared daily and served by our in-school catering team. 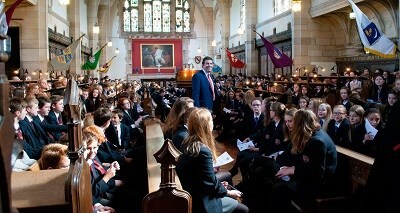 There is also the option for day pupils children to join our boarders for breakfast and tea. Lunch is served in the Senior School dining hall, starting at noon for Pre-Prep. Breakfast is served at 7.35am and tea is at 5.15pm, also in the dining hall. Prep School children also receive fruit and organic milk at morning break and a further snack at 4pm if they are staying at school for an activity. Our summer and winter seasonal menus are rotated on a three-weekly basis to provide plenty of variety and choice from a range of hot and cold main courses, including a full salad bar. Popular lunch choices among Prep School children are the daily pasta dishes, Wednesday’s carvery and fish and chip Friday. Menus for the Lent Term can be viewed here. We can cater for special dietary needs and allergies, with menu items marked as vegan, vegetarian or gluten-free. 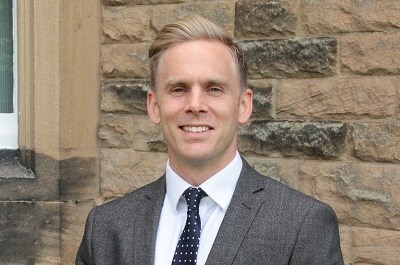 Menus are available for parents to view at any time and our Catering Manager is always keen to meet with parents to discuss specific requirements. The serving team are very well informed about individual children’s needs and also about the ingredients within each dish. When the children are on excursions, the school catering team supplies healthy packed lunches, which include a freshly made baguette, fruit jelly and a large bottle of water. Local suppliers, such as Organic Acorn Dairy and Peat’s Butchers, are used as much as possible. 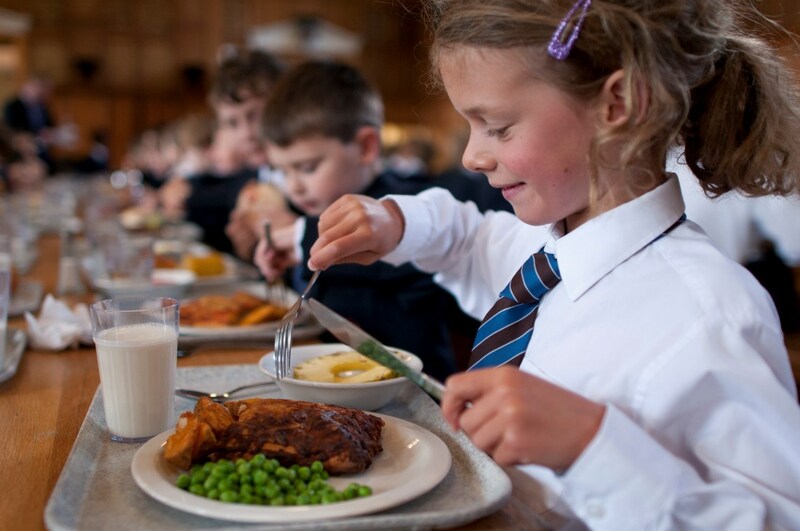 Prep School children have the chance to contribute to the development of catering through the boarding and day pupils’ Food Committees, which provide a regular forum for sharing their views with the Catering Manager and Headmaster.